The show Bepannah, when it began grabbed the attention of the audience one because of the lead actress Jennifer Winget and two because of the exciting plot that revolved around the death mystery of Zoya (Jennifer) and Aditya’s (played by Harshad Chopda) respective partners Yash (played by Sehban Azim) and Pooja (Namita Dubey). 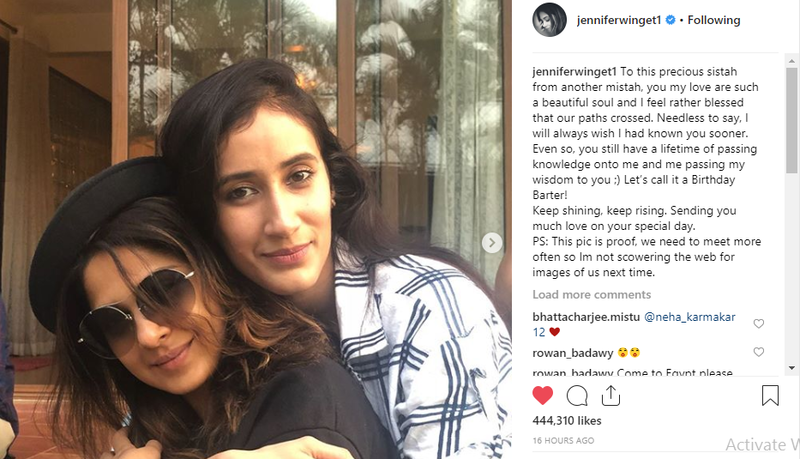 The story continued and Sehban and Namita later were out of the story but their friendship with the lead actors is definitely a special one and it became clear when both Jennifer and Harshad wished Namita on her birthday. Yes, that’s true. Jennifer, Harshad and Namita has been good friends and this was even visible in the birthday wish they posted. 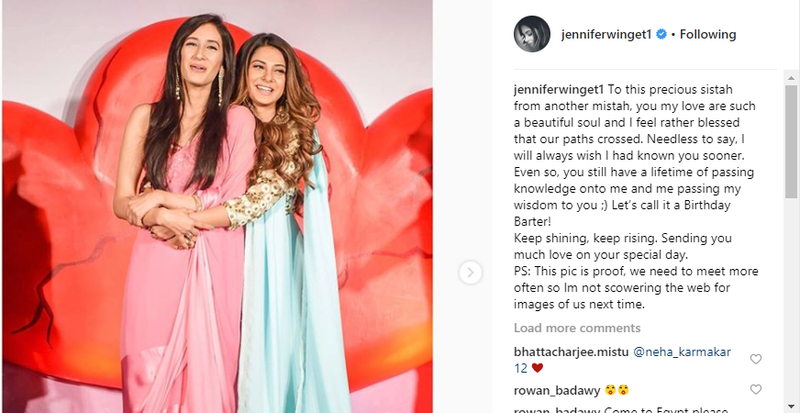 Jennifer, in her post said that how badly she wanted to meet her since they two have less pictures with each other, Harshad, on the other hand, said how wise and beautiful she is. Namita played the role of Harshad’s wife on the show who later meets with an accident and dies. News about Bepannah has been doing rounds from quite few days when the reports of the show going off-AIR came later which fans requested the makers not to do the same and a hashtag of #DONTENDBEPANNAH started trending everywhere. But later, a hope of happiness came when it was being said that the show will continue on the digital platform VOOT. Adaa Khan’s new show Vish Ya Amrit – Sitara will replace it.